PORT WENTWORTH, GA – December 21, 2018 – Port Wentworth’s Rice Hope Plantation community has been chosen by Village Park Homes as the location for the 2019 St. Jude Dream Home®. The giveaway began 28 years ago and is one of the largest single-event fundraisers for St. Jude Children’s Research Hospital. To date, almost 500 homes have been given away and the program has raised more than $400 million to save the lives of children with cancer and other deadly diseases at St. Jude. Each year, more than 40 homes are built and raffled off across the United States, with all proceeds benefitting St. Jude. In each community where a raffle is held, St. Jude partners with a builder – like Village Park Homes – and enlists the help of four sponsors, Brizo, Shaw Floors, Trane and Bosch. The companies supply fixtures, appliances, flooring, the HVAC unit and more for the St. Jude Dream Home®. Last year, Bluffton, S.C.-based Village Park Homes built the St. Jude Dream Home in Richmond Hill, GA. The company happily agreed to help once more when approached about the 2019 St. Jude Dream Home® Giveaway, according to Village Park Homes Marketing Director Leslie Ehlers. The 2019 Savannah area St. Jude Dream Home® will be Village Park Homes’ 3,800-square-foot Liberty plan featuring three stories, four bedrooms, four and a half bathrooms, and impressive architectural and interior details. The home is estimated to be worth around $400,000. Crews will break ground on the house at 11:30 a.m. Jan. 10, 2019, and construction is expected to be complete by early May. The Rice Hope developer, Bald Eagle Partners, LLC, generously donated the lot on which the house will stand. The Port Wentworth City Council voted to waive building fees associated with home construction. Raffle tickets cost $100 each and only 6,750 will be sold starting on April 8, 2019. Potential homeowners are encouraged to come and visit the beautiful new home during weekend open houses slated to begin May 11, 2019. Tours will be offered from 9 a.m.- 5 p.m. Saturdays and from noon- 5 p.m. Sundays. Those who tour the home can enter to win a separate $10,000 prize from Timeless Interiors, which is staging the house. The winning ticket will be drawn Wednesday, June 26 during a live broadcast on WSAV-TV. As work continues during the time period leading up to the drawing, several other fundraisers and events to generate awareness for the giveaway are planned. St. Jude will partner with the city of Port Wentworth for their annual Stand Up for America Day on April 27, 2019 with a parade, fishing tournament and big festival. Raffle tickets will be sold on site and likely during a food truck festival at Rice Hope on May 12, 2019. Other promotional events may be announced in the coming months. Last year, the St. Jude Dream Home® Giveaway raised $660,000 for St. Jude. This year, according to Ehlers, the goal is $700,000. Port Wentworth Chamber of Commerce President and CEO Trisha Growe and other leaders within the city are looking forward to doing all they can to contribute to the cause and raise awareness. “We feel very fortunate that Village Park Homes and St. Jude chose our community as the site of the 2019 St. Jude Dream Home® Giveaway. We’re eager to get involved, support this effort and do whatever is needed to help sure the fundraising goal is met,” Growe said. St. Jude Children’s Research Hospital is leading the way the world understands, treats and defeats childhood cancer and other deadly diseases. St. Jude has the world’s best survival rates for the most aggressive childhood cancers, and treatments invented at St. Jude have helped push the overall childhood cancer survival rate from 20 percent to 80 percent since it opened more than 50 years ago. St. Jude is working to drive the overall survival rate for childhood cancer to 90 percent in the next decade. For more information on St. Jude Children’s Hospital, please visit www.stjude.org/give/dream-home. 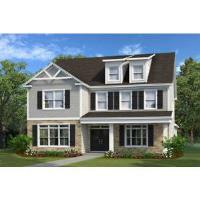 For more information on Village Park Homes, please visit www.villageparkhomes.com. For more information about the Port Wentworth Chamber of Commerce, please visit www.visitportwentworth.com or call 912-965-1999.